Approved by the President of the Russian Federation on December 25, 2014, No. Pr.-2976. 1. The Military Doctrine of the Russian Federation (hereinafter the Military Doctrine) represents a system of officially adopted by the State views on preparations for armed defense and on the armed defense of the Russian Federation. 2. The Military Doctrine contains the main provisions of the military policy and of military-economic support for defense of the State based on the analysis of military risks and military threats facing the Russian Federation and the interests of its allies. 3. The legal basis of the Military Doctrine consists of the Constitution of the Russian Federation, generally recognized principles and norms of international law and international treaties of the Russian Federation in the field of defense, arms control and disarmament, federal constitutional laws, federal laws, as well as statutory legal acts of the President of the Russian Federation and the Government of the Russian Federation. 4. The Military Doctrine takes into consideration fundamental provisions of the Concept of the Long-Term Socio-Economic Development of the Russian Federation for the Period up to 2020, the National Security Strategy of the Russian Federation for the Period up to 2020, as well as relevant provisions of the Foreign Policy Concept of the Russian Federation, the Maritime Doctrine of the Russian Federation for the Period up to 2020, the Development Strategy of the Arctic Zone of the Russian Federation and of the National Security Protection for the Period up to 2020 and other strategic planning documents. 5. The Military Doctrine reflects the commitment of the Russian Federation to taking military measures for the protection of its national interests and the interests of its allies only after political, diplomatic, legal, economic, informational and other non-violent instruments have been exhausted. 6. The provisions of the Military Doctrine are specified in the addresses of the President of the Russian Federation to the Federal Assembly of the Russian Federation and may be adjusted within the framework of strategic planning in the military sphere (military planning). 7. Implementation of the Military Doctrine shall be achieved through the centralization of state governance in the field of defense and security and shall be carried out in accordance with federal legislation and statutory legal acts of the President of the Russian Federation, the Government of the Russian Federation, and federal executive authorities. m) system of non-nuclear deterrence is a complex of foreign policy, military and military-technical measures aimed at preventing aggression against the Russian Federation through non-nuclear means. 9. World development at the present stage is characterized by the strengthening of global competition, tensions in various areas of inter-state and interregional interaction, rivalry of proclaimed values and models of development, instability of the processes of economic and political development at the global and regional levels against a background of general complication of international relations. There is a stage-by-stage redistribution of influence in favour of new centres of economic growth and political attraction. 10. Many regional conflicts remain unresolved. There is a continuing tendency towards their resolution with the use of force, including in regions bordering the Russian Federation. The existing international security architecture (system) does not ensure equal security for all states. 11. There is a tendency towards shifting the military risks and military threats to the information space and the internal sphere of the Russian Federation. At the same time, despite the fact that unleashing of a large-scale war against the Russian Federation becomes less probable, in a number of areas the military risks encountered by the Russian Federation are increasing. n) subversive operations of special services and organizations of foreign states and their coalitions against the Russian Federation. d) provoking inter-ethnic and social tensions, extremism, stirring up ethnic and religious hatred or enmity. e) intensification of activities of the armed forces of individual states (groups of states) involving partial or full mobilization and shifting the governance and military command and control bodies of these states to functioning as in wartime conditions. j) employment of political forces and public associations financed and guided from abroad. 16. Nuclear weapons will remain an important factor of preventing an outbreak of nuclear military conflicts involving the use of conventional arms (large-scale war or regional war). 17. Main tasks of the Russian Federation’s military policy are determined by the President of the Russian Federation in accordance with the federal legislation, the National Security Strategy of the Russian Federation for the Period up to 2020 and the Military Doctrine. 18. The Russian Federation’s military policy is aimed at deterring and preventing military conflicts, improving military organization and forms and methods of employment of the Armed Forces, other troops and bodies, and enhancing mobilization readiness in order to ensure defense and security of the Russian Federation, as well as interests of its allies. 19. The Russian Federation shall ensure the permanent readiness of the Armed Forces, other troops and bodies for deterring and preventing military conflicts and for armed defense of the Russian Federation and its allies in accordance with the norms of international law and international treaties of the Russian Federation. 20. Prevention of a nuclear military conflict as well as of any other military conflict is the basis of the military policy of the Russian Federation. s) to create conditions to reduce the risk of using information and communications technologies for the military-political purposes to undertake actions running counter to international law, directed against sovereignty, political independence or territorial integrity of states or threatening international peace and security, and global and regional stability. 22. The Russian Federation has the legitimate right to employ the Armed Forces, other troops and bodies to repel aggression against itself and/or its allies, to maintain (restore) peace as decided by the UN Security Council or another collective security body, as well as to protect its citizens abroad in accordance with generally recognized principles and norms of international law and international treaties of the Russian Federation. 23. In peacetime, the Armed Forces, other troops and bodies shall be employed by the decision of the President of the Russian Federation in accordance with the procedure prescribed by the federal legislation. Subject to the above, they shall be employed vigorously, purposefully and in an integrated manner on the basis of a timely and constant assessment of the military, political and strategic situation. 24. The Russian Federation shall regard an armed attack against a member state of the Union State [of Russia and Belarus] or any actions involving the use of military force against that state as an act of aggression against the Union State and shall take retaliatory measures. 25. The Russian Federation shall regard an armed attack against a CSTO member state as an aggression against all CSTO member states and shall take measures in accordance with the Collective Security Treaty. 26. Within the framework of strategic deterrence measures of a forceful nature the use of high-precision weapons is envisaged by the Russian Federation. 27. The Russian Federation shall reserve the right to use nuclear weapons in response to the use of nuclear and other types of weapons of mass destruction against it and/or its allies, as well as in the event of aggression against the Russian Federation with the use of conventional weapons when the very existence of the state is in jeopardy. The decision to use nuclear weapons shall be taken by the President of the Russian Federation. 28. The activities to fulfill tasks assigned to the Aimed Forces, other troops and bodies shall be organized and carried out in accordance with the Defense Plan of the Russian Federation, decrees of the President of the Russian Federation, orders and directives of the Supreme Commander-in-Chief of the Armed Forces of the Russian Federation, as well as other statutory acts of the Russian Federation and strategic defense planning documents. 29. The Russian Federation shall provide military contingents for the CSTO peacekeeping forces to participate in peacekeeping operations as decided upon by the CSTO Collective Security Council. The Russian Federation shall also provide military contingents for the CSTO Collective Rapid Reaction Forces and the Collective Rapid Deployment Forces of the Central Asia Collective Security Region to promptly respond to military threats to CSTO member states and accomplish other tasks assigned by the CSTO Collective Security Council. 30. The Russian Federation shall provide military contingents for peacekeeping operations mandated by the UN or the CIS in accordance with the procedure established by the federal legislation and international treaties of the Russian Federation. 31. The Armed Forces of the Russian Federation may be employed outside the country to protect the interests of the Russian Federation and its citizens and to maintain international peace and security in accordance with the generally recognized principles and norms of international law, international treaties of the Russian Federation and the federal legislation. s) to protect national interests of the Russian Federation in the Arctic region. f) to fulfill international obligations of the Russian Federation with regard to collective defense, to repel or prevent, in accordance with the rules of international law, an armed attack against another state that has made a relevant request to the Russian Federation. 34. The main tasks of the Armed Forces, other troops and bodies in wartime shall include repelling aggression against the Russian Federation and its allies, defeating the aggressor’s troops (forces) and forcing the aggressor to cease hostilities on terms and conditions suiting the interests of the Russian Federation and its allies. n) to improve the system of radiation, chemical and biological protection of troops (forces) and population. c) to improve the quality of military training and military education, and to strengthen the military-related scientific potential. 37. The main task of the organizational building and development of the Armed Forces, other troops and bodies is to ensure that their structure, composition, strength, arms and equipment with up-to-date (prospective) types of weapons and military and special vehicles correspond to potential military threats, the substance and nature of military conflicts, their tasks in peacetime, under the conditions of an imminent threat of aggression and in wartime, as well as to political, socio-economic, military-technical and demographic conditions and capabilities of the Russian Federation. h) to train highly professional servicemen devoted to their Homeland and to raise prestige of the military service. s) ensuring administrative and civilian control of the defense-related activities of federal executive bodies and the executive bodies of the constituent entities of the Russian Federation. 40. Mobilization readiness of the Russian Federation shall be ensured through preparing for implementation of mobilization plans within established time limits. The pre-determined level of mobilization readiness of the Russian Federation depends on an estimated military threat and the nature of a military conflict and shall be achieved through adequate activities for mobilization preparation, as well as equipping the Armed Forces, other troops and bodies with modern weapons and maintaining military-technical potential at a sufficient level. 41. 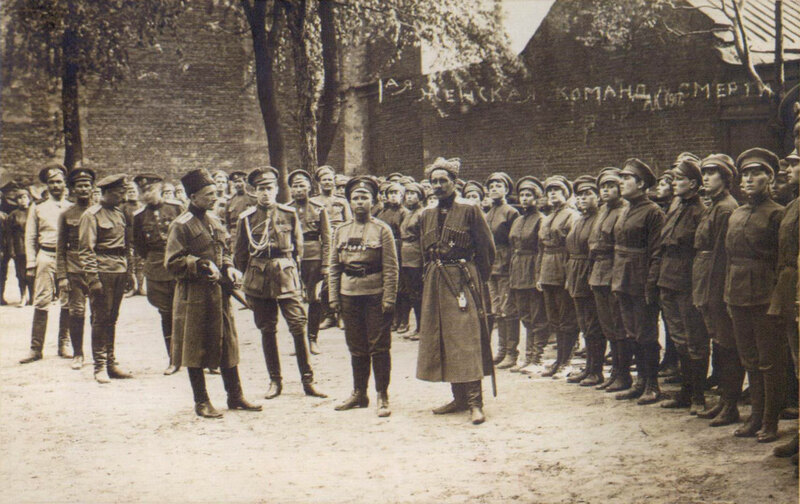 The main task of mobilization preparation is to prepare the economy of the Russian Federation, economies of its constituent entities and municipalities and its state administration bodies, local government authorities and organizations, as well as to prepare its Armed Forces, other troops and bodies for the defense of the State against an armed attack and meeting the requirements of the State and the needs of the population in wartime. h) to organize supplies of food and non-food commodities to the population under conditions of limited resources in wartime. 43. The main task of the military-economic support for the defense is to create conditions for sustainable development and maintenance of the State’s military-economic and military-technical potential at the level necessary for the implementation of military policy and for meeting reliably the needs of the military organization in peacetime, in the face of an imminent threat of aggression and in wartime. d) to advance military-political and military-technical cooperation with foreign states for consolidation of confidence-building measures and reducing global and regional military tensions. 45. 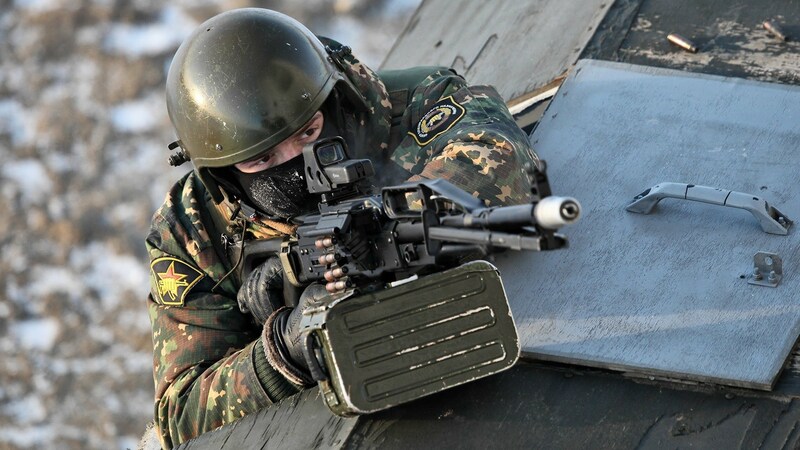 The main task of equipping the Armed Forces, other troops and bodies with weapons and military and special equipment is to develop and maintain an interconnected and integrated system of weapons in a state corresponding to the tasks and purpose of the Armed Forces, other troops and bodies, to the forms and methods of their use, and to the economic and mobilization potential of the Russian Federation. g) to create basic information management systems and integrate them with the systems of command and control of weapons and the computerized systems of command and control bodies at the strategic, operational-strategic, operational, operational-tactical and tactical levels. 47. The implementation of the tasks of equipping the Armed Forces, other troops and bodies with weapons and military and special equipment is provided for by the State Arms Programme and other national programmes (plans). 48. The provision of the Armed Forces, other troops and bodies with materiel and their stockpiling and maintenance shall be carried out within the framework of integrated and coordinated systems of technical and logistical support. 49. The main task of the provision of the Armed Forces, other troops and bodies with materiel in peacetime shall be stockpiling, echeloned placing, and maintenance of reserves of materiel supporting the mobilization and strategic deployment of the Armed Forces and the conduct of military operations (based on the time periods necessary for adapting the economy, its individual sectors, and industrial organizations to wartime conditions) in the light of physical and geographical conditions along the strategic axes and capacities of the transportation system. 50. The main task of the provision of the Armed Forces, other troops and bodies with materiel in a period of a direct threat of aggression shall consist in the additional provision of the troops (forces) with materiel according to wartime manning levels and norms. b) to replenish losses of armaments, military and special equipment, and materiel in the course of military operations with due account of the capacity of industrial organizations to deliver and repair weapons and military and special equipment. 52. The main task of the development of the defense industry is to ensure its effective functioning as a high-tech multi-profile sector of the national economy capable of meeting the needs of the Armed Forces, other troops and bodies in up-to-date weapons and military and special equipment, and the strategic presence of the Russian Federation in world markets for high-tech products and services. o) to ensure the production and technological mobilization readiness of defense-industrial complex entities for developing and producing priority types of weapons and military and special equipment in designated quantities and of due quality. 54. The Russian Federation carries out military-political and military technical cooperation with foreign states (hereinafter military-political and military-technical cooperation) and with international, including regional, organizations on the basis of its foreign policy and economic expediency and in accordance with the federal legislation and international treaties of the Russian Federation. g) to fulfill international obligations of the Russian Federation. f) with the United Nations and other international, including regional, organizations – involving representatives of the Armed Forces, other troops and bodies in the management of peacekeeping operations and in the process of planning and carrying out preparatory activities for operations aimed at maintaining (restoring) peace, as well as in participating in the elaboration, coordination, and implementation of international agreements on arms control and strengthening international security and increasing the participation of units and servicemen of the Armed Forces, other troops and bodies in operations aimed at maintaining (restoring) peace. 57. The tasks of military-technical cooperation are defined by the President of the Russian Federation in accordance with the federal legislation. 58. The key areas of military-technical cooperation are formulated in the Annual Presidential Address to the Federal Assembly of the Russian Federation. The provisions of the Military Doctrine may be updated due to changes in the nature of military risks and military threats, the tasks in the sphere of military security and defense, as well as the conditions of development of the Russian Federation.